My 10 – week health coaching program is an exclusive, one-on-one practice, tailored to support your unique health struggles in middle age. You’ll receive personalised day-to-day care to nurture you to a whole new way of eating, moving, living and being. With over 26 hours of face-to-face interaction, we’ll cover a lot of ground – from setting health goals to redefining your nutrition, fitness and vitality. You see, being over 50 myself I believe I’ve got enough ‘skin in the game’ to better understand your health journey. You may have never heard of a health coach and what we do, but like many things in our modern world, it’s rapidly disrupting the way health care is delivered. 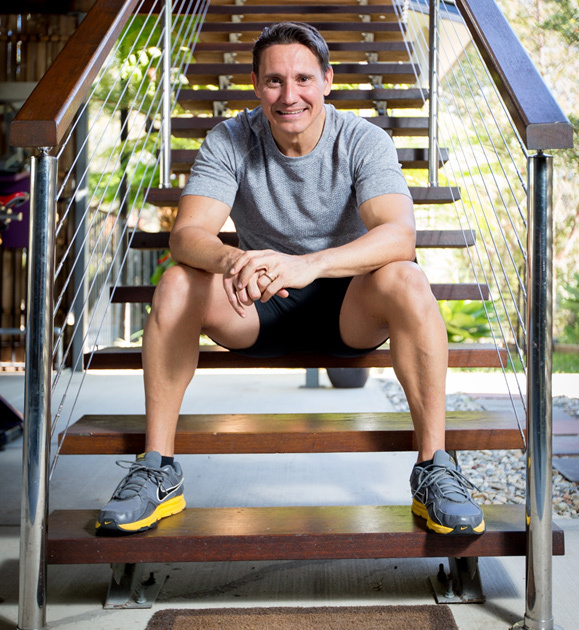 I am a certified Primal Health Coach, and have a Bachelor’s degree in Physical Education from the Queensland University of Technology and a Master’s Degree in Sports Management from Southern Cross University, New South Wales. I taught senior school physical education for 10 years throughout my home state of Queensland. Teaching health and fitness is my passion and calling.